I've been trying really hard to improve my skin recently and I finally feel like I'm getting somewhere. 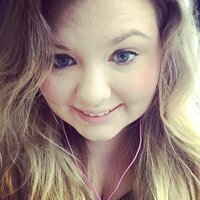 I use the Real U products everyday and I'm now looking at the makeup I'm wearing to make some changes with that. 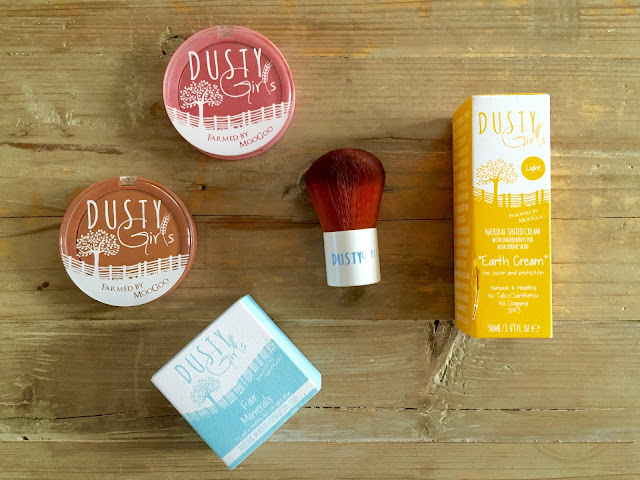 I've accumulated a fair amount of Dusty Girls products from blogger events. My favourite so far has got to be the blusher and since I'm a sucker for a good pink blusher, I was so happy with this one. To be honest, I probably won't look at getting a different one for a while! I have also tried their bronzer and two lip glosses, which you can read about here. I'm not going to go into a huge amount of detail about my makeup routine as it's ridiculously simple. I have been using the Dusty Girls Earth Cream* which I love as it's so easy to apply and is also matte which I way prefer. It lasts the majority of the day or as long as it can do in retail. It also smells amazing and works wonders on my skin so for me it is a real bonus. 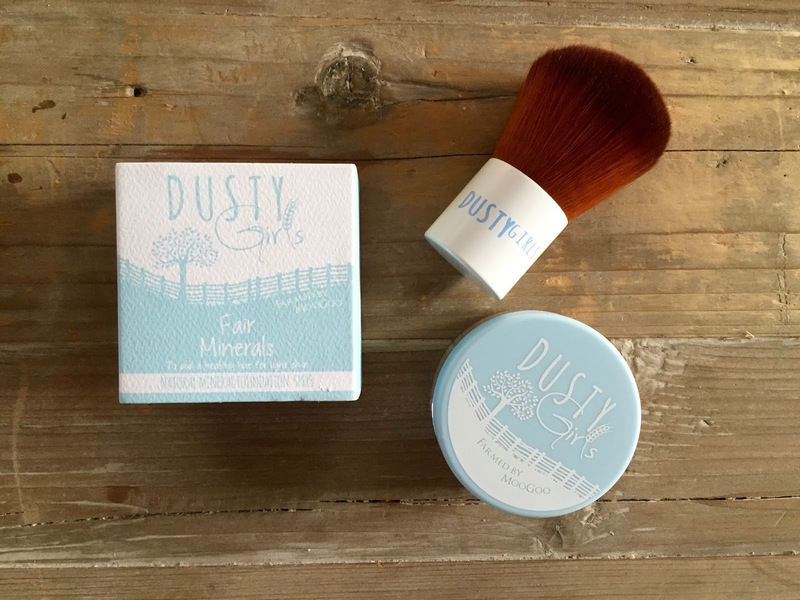 I have also been using two other Dusty Girls products including the mineral powder in light and their blusher. I've used powder on top of my foundation for as long as I can remember so to find one that has good coverage and also is quite light when you put it on is always a great feeling! I love the packaging too! 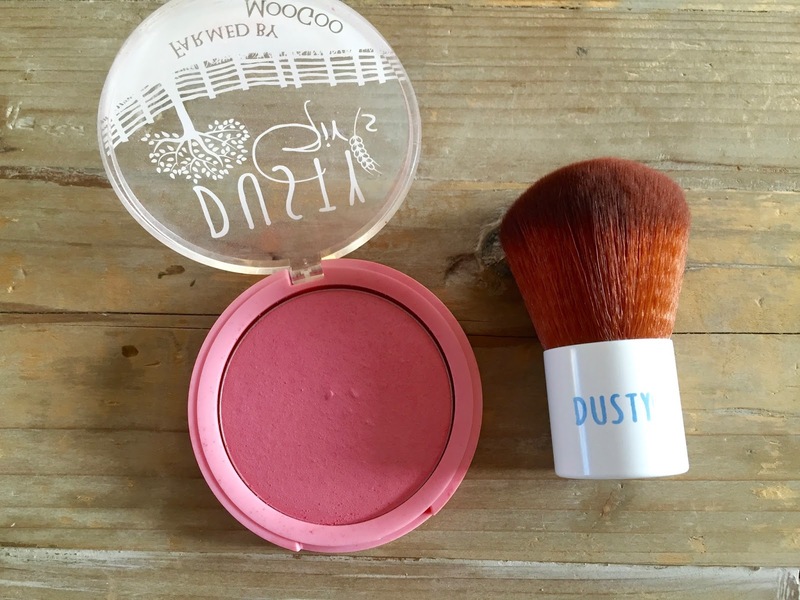 As I said before, I am a huge sucker for a good blusher. I like something quite pigmented so the pink really shows and I tend to pick a rosey or light pink. This has got to be one of my favourites I've ever tried. I haven't even thought about using another brand since using this one. I've never been so excited to get a makeup product as I was with this one, I've wanted it for so long, so it really was amazing when I got it! I truly love all of this Dusty Girls makeup that I will definitely be buying these products again soon. I would love to try their mascara and I'd love to try their new eyeshadows that they have recently released. What's your favourite brand of makeup? *I was kindly sent the Earth Cream for the purpose of this review. The Blusher and Powder were kindly received at the South West Blogger Meet. The blush looks so pretty! That brush is also so cute. I have an eyeshadow from the blogging event from them but I'm yet to try it! 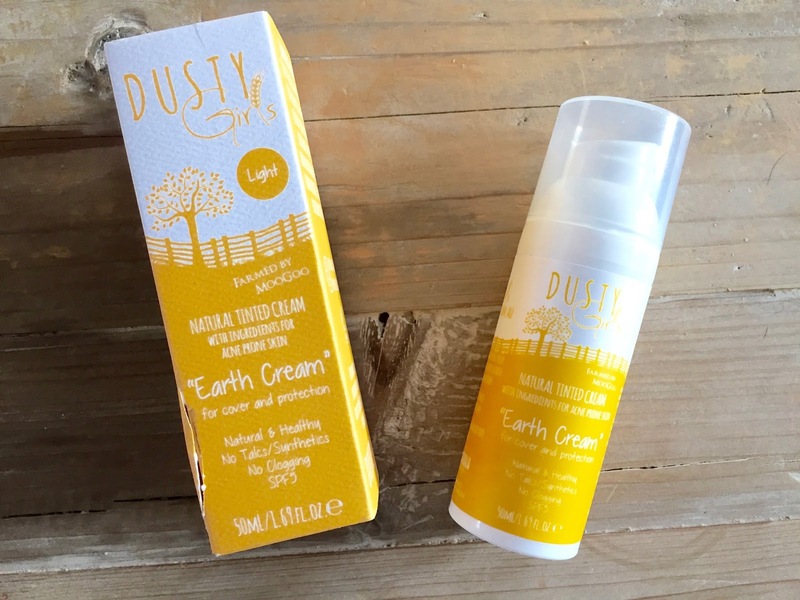 I loved the earth cream and would definitely try out more Dusty Girls products in the future!